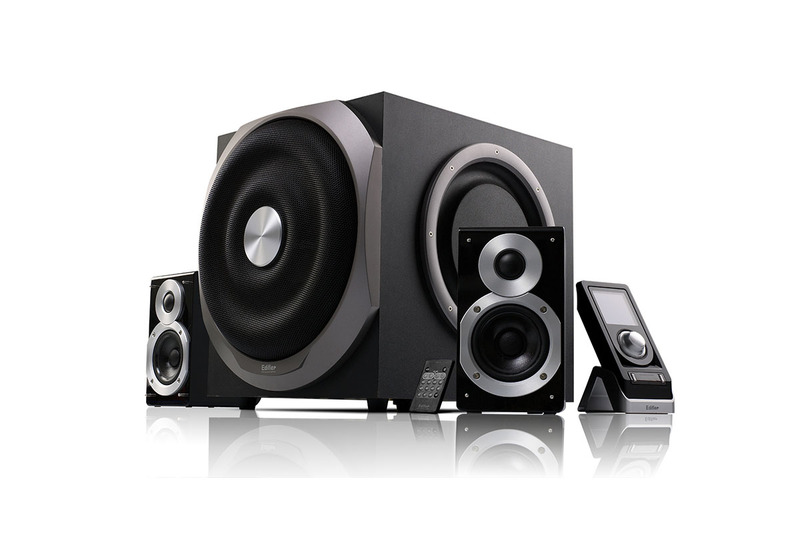 Effortlessly adjust the settings on the 2.1 sound speaker system set up with wired remote control. This wired remote features a 2.5-inch LCD display used for easily indicating the functions of this surround sound set up. 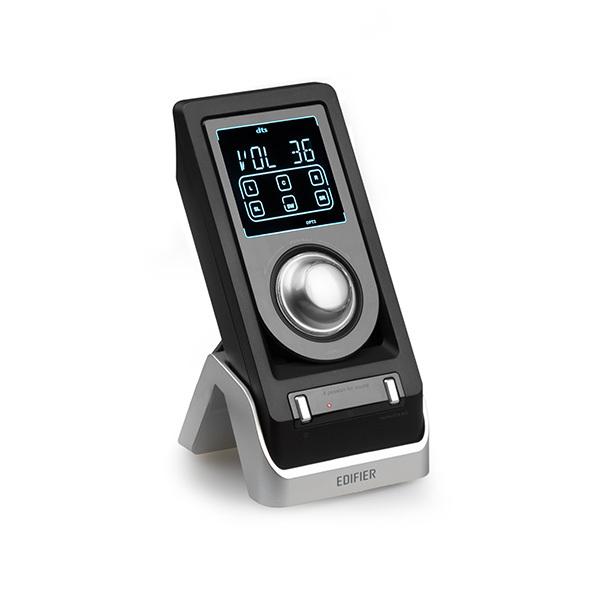 There is also a dimmer control knob for carefully selecting inputs and adjusting speaker settings. Take control between PC, auxiliary and digital inputs with the S730 wired remote control. Use this remote control to adjust every level of a 2.1 speaker system has. Change the levels of your subwoofer, bass, treble, and left-right balance. The last setting you can change is the backlight dimmer on the remote itself. The award-winning S730 has 300 watts of pure power and offers a 10” subwoofer that creates a smooth, dynamic auditory experience. The subwoofer is equipped with passive radiators on both sides offering an unique sound. This 2.1 speaker system combines modern contemporary design and incredible sonic and long lasting performance earning the prestigious IF Design Award. The S730’s subwoofer is housed in a wooden medium-density fibreboard (MDF). Meanwhile, the satellites have a beautiful piano finish for a contemporary design that will never go out of style. The high and mid range drivers of the S730 generates a fantastic sound suitable for any room. The S730 2.1 system also comes with a lightweight, multifunctional wireless remote letting you control your music, while you roam around the room.